I've always been a beach person. I grew up by the beach, I live by the beach and when I go on holidays I go somewhere with a beach. I can't imagine not being beside the sea for any stretch of time. I love it. It's my happy place. We are lucky enough to be off to The Algarve in Portugal shortly as guests of Martinhal Family Resort in Sagres. 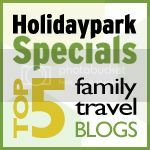 The resort itself is something special - last year it was award not only Portugal's leading family resort, but Europe's leading family resort too. To say we're excited would be more than an understatement. Martinhal Beach that the resort sits on offers surfing, windsurfing, stand up paddle boarding, kayaking, or simply lazing around on the miles of sandy shore. I can't wait to get there and get snapping. Pictures to follow, obviously. Praia do Zavial is the perfect surfing beach for all levels; the smaller swells provide younger and beginner surfers with a great opportunity to take to the water but when the bigger swells arrive it’s time for the advanced surfers to demonstrate their skills. The beach is a haven, away from the typical tourist beaches and features no souvenir shops, ice cream venders or sun loungers, ensuring that Zavial’s wonderful natural beauty remains unspoilt. 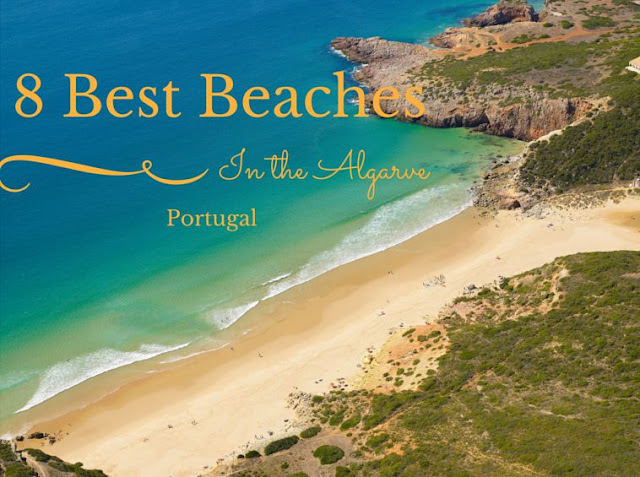 All 100 of the Algarve’s blue-flag beaches offer a family-friendly environment, safe waters and clean sands but Praia do Barril offers a fantastic family day out. With a miniature railway running to the beach from the car park at Pedras del Rei, the kids are sure to be entertained right from the start. Located between two other beaches, Barril has a number of restaurants and cafes to keep everyone well fed and watered. For those that want to hit the waters pedalos and canoes are available to explore the coastline and a lifeguard is on watch to ensure everyone’s safety. Praia da Murração is perfect for those looking for a secluded alternative to Praia do Amado and is sure not to disappoint! 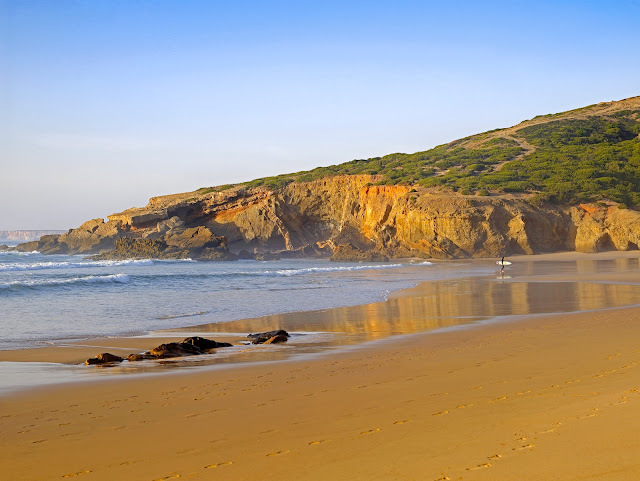 Murração is otherwise known as the ‘Jewel of the Costa Vicentina’ and with its pristine natural beauty it is easy to see why. Surrounded by cliffs and accessible only by off-road vehicle, the secluded beach is one of the rare areas where the vegetation meets the high tide line and on the cliff tops sheep can be seen grazing. For those needing a more accessible beach Praia de Monte Gordo has the answer. The beautiful golden beach features a free car park and convenient disabled access, ensuring everyone can make the most of the Algarve’s coastline. The beach also has over 10 bar-restaurants and even more shops and cafes on the road behind, making this accessible beach perfect for the entire family. Praia da Rocha is the perfect destination for those looking for an active day at the beach. There’s plenty of activities available including jet skiing, surfing, boat trips and diving the fantastic Ocean Revival Project, the World’s largest single artificial reef which comprises of four purposely-sunk warships. The Benagil Sea Caves offer a completely different kind of beach experience; with beautiful arches formed out of rock, calm waters, natural ‘skylights’ and beaches only accessible by boat, the sea caves are the perfect place to explore. 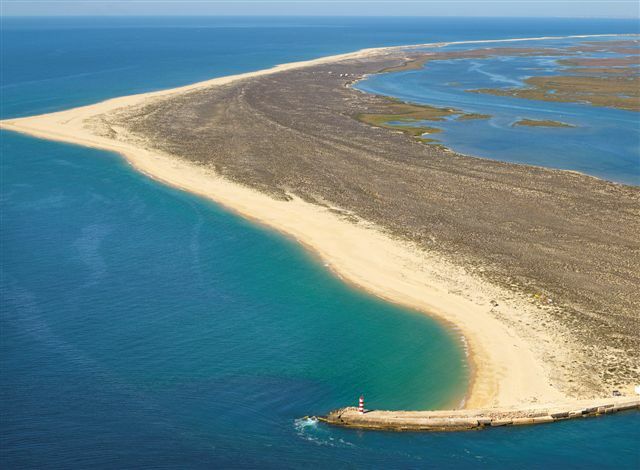 Ilha Deserta is the perfect location for those wanting to venture a little further. This fantastic unspoilt beach is located on a deserted island which is easily reachable by ferry. Ilha Deserta is set within a beautiful protected park, which is sure to provide visitors with the perfect landscape in which to relax. Now, who's on for a last minute summer holiday?